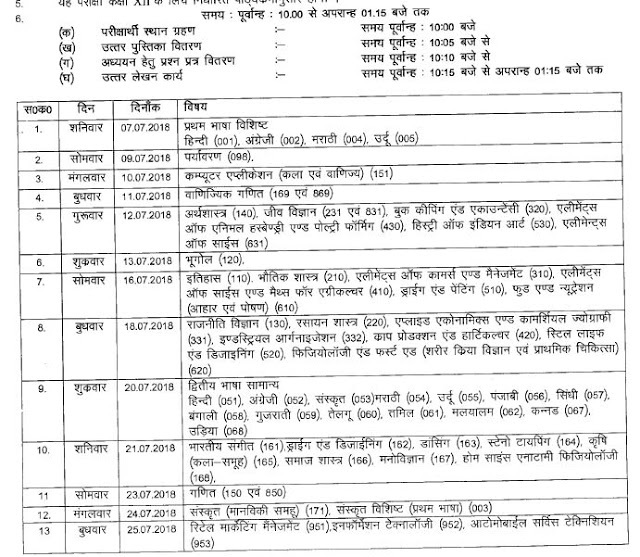 CG Board 12th Supplementary Exam Time Table 2019, CGBSE Chhattisgarh Higher Secondary 12th Class (XII) Plus Two (General/Vocational) Supplementary Examinations June/July 2019 Time Table/Date Sheet Download given below. 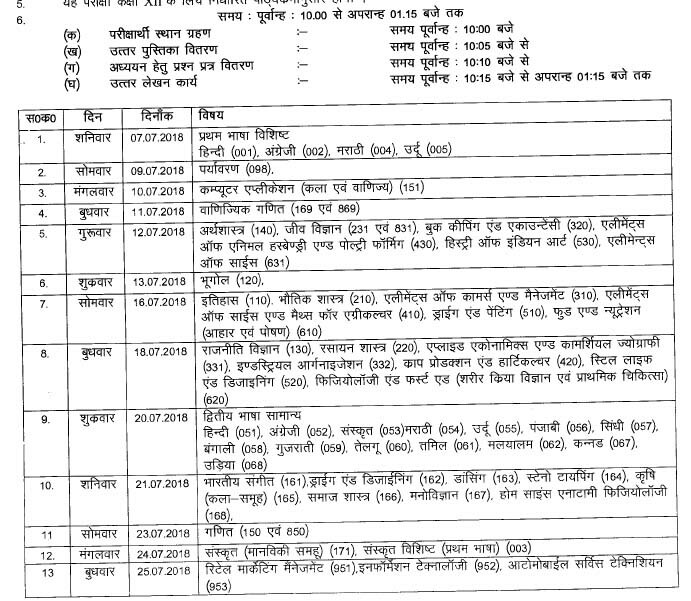 Note: CGBSE 12th Supplementary June/July 2019 examination time table to be updated after March 2019 results. given below is the last year time table. Chhattisgarh Board of Secondary Education conducting Secondary Class XII/12th/Plus Two General and Vocational Examinations from 7th March 2018 to 2nd April 2018. The CGBSE 12th Class examinations starts with Paryavaran Paper on 7th March 2018 and Ends with Elective Papers on 2nd April 2018. CGBSE 12th Class Exam results was announced on 9th May 2018. 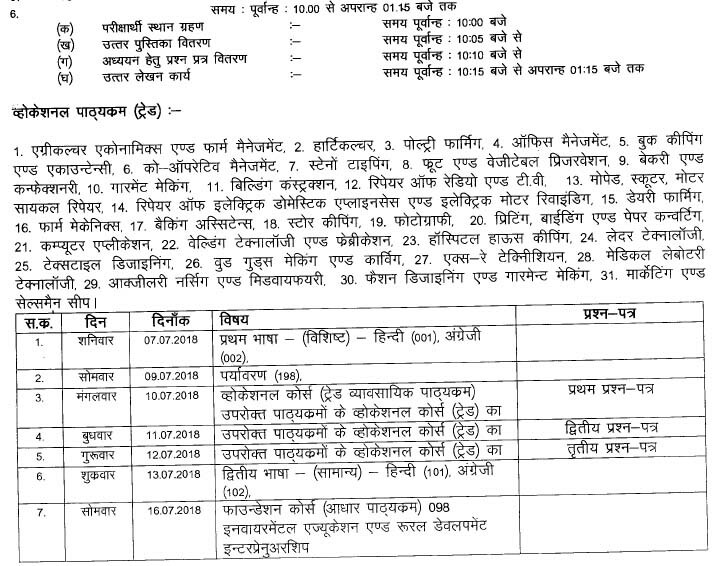 Chhattisgarh Board conductinged Supplementary Examinations from 7th July 2018 to 25th July 2018 for who failed in 12th Class Annual Examinations in Feb/March 2018. CG Board 12th Class Supplementary Exam (General) Time Table June 2018.